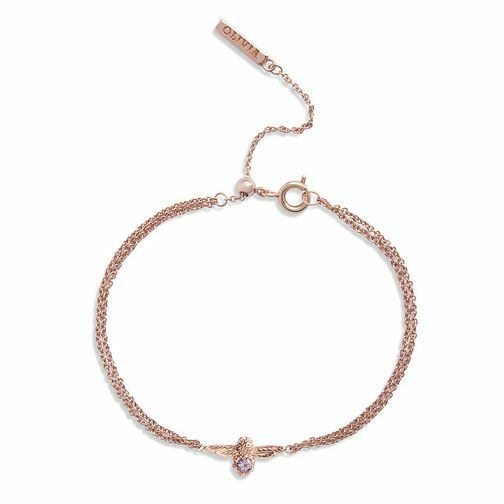 Opulent glamour for everyday accessorising, Olivia Burton presents this stunning rose gold plated bracelet. Chic chains present a charm of the sweet signature bee motif, embellished with a glistening amethyst set body. Enhance your look with effortless style and sophistication.